This is a book review of possibly the most well know family firm in the UK. Brian Harris Transport is a name that every haulage enthusiast in the UK should know. 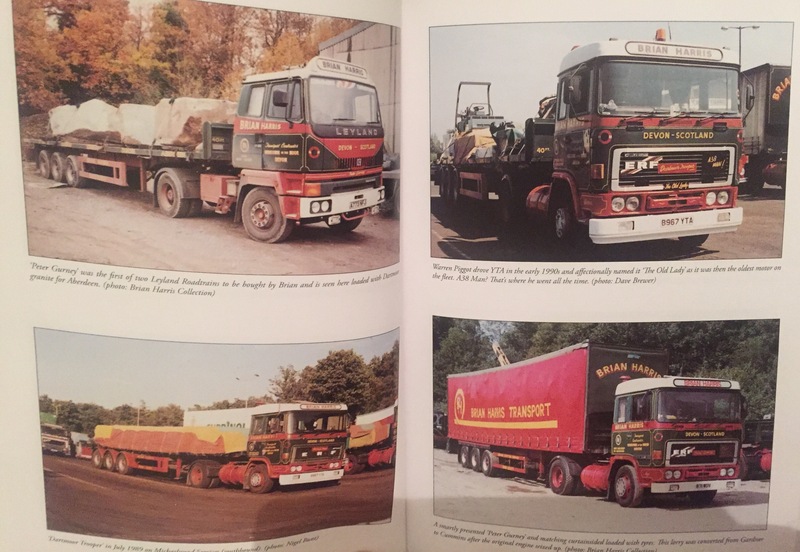 I knew the name before I started driving and in the few years I had on the road before BHT ceased trading in 2001, it was always a top spot to see one of the famous red and green trucks on the road. For any of you outside the UK, read this book and you will learn the true meaning and spirit of what UK haulage was all about. As with everything in transport stories get exaggerated and the truth can get lost over a pint in a truckstop or two. 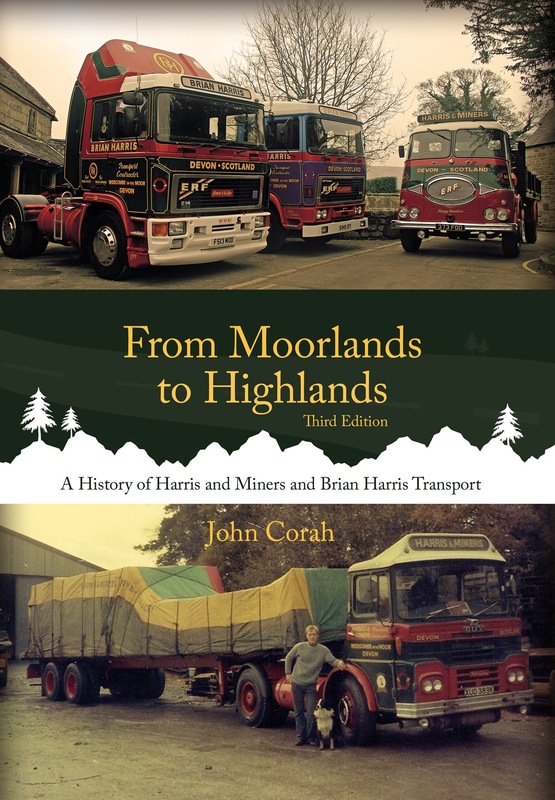 This book is the be all and end all about Brian Harris Transport and also Harris & Miners. The book is written by an ex BHT driver and the man who spent 20 years sign writing the Devonshire fleet. The story starts from day 1 way back in 1946 when Harris & Miners was founded right through to the closure of BHT in 2001 and what a read. Sometimes I worry that books like this are going to be a few too many reg and chassis numbers and not enough readable info and tales from the road. There is no need to worry. 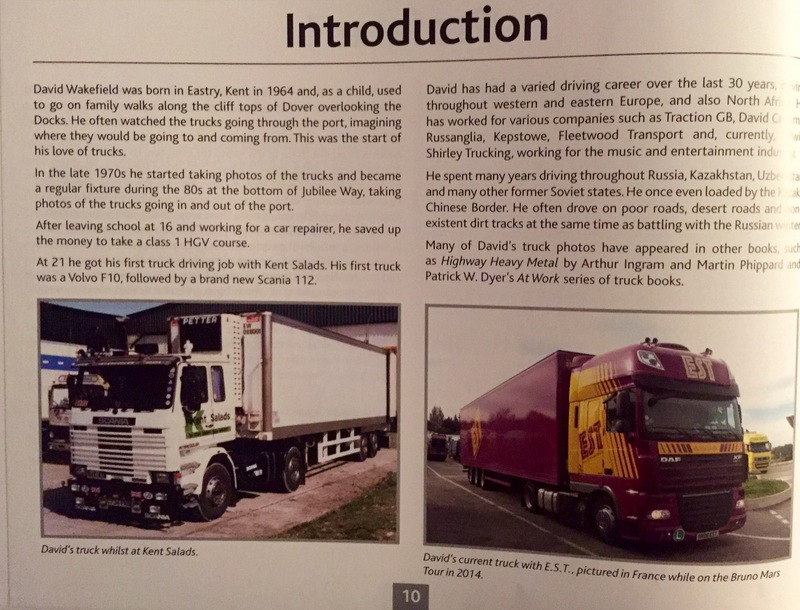 The book is full of fact and truth about all the trucks, drivers and family involved in the Harris story. Anyone planning to write a book should, sorry has to read this and use it as a template. I read and read and read, loads of interesting details and the true story from a man who was close to the Harris dynasty for more than 20 years. No bull, no may be or possibly, no speculation the whole book is just the truth of how it was. This is the third edition of the book and as you can imagine, it is the most complete. Thanks to Old Pond we are able to once enjoy John Corahs story. Due to editions one and two completely selling out the third edition, this edition was launched. John Corah has updated the story to include the sad closure of BHT in 2001 and also the very sad death of the big man himself in 2012. How many small hauliers do you know would get 600 people from all walks of the UK Haulage and transport scene attending their funeral?? That in a way sums up what a well respected and larger than life character Brian Harris was. This edition also includes details of the auction of the fleet, an updated fleet list and which vehicles are still around today. Ex BHT vehicles command good money even now when they come up for sale and there are now a number on the vintage truck rally and show scene, still wearing the traditional red and green livery. Not only is the book full of amazing anecdotes and information but the photos……oh the photos! 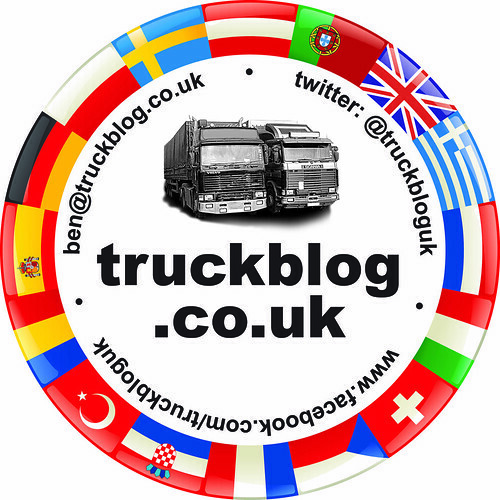 From start to finish there are B&W and colour photos of virtually every truck ever operated. Again John Corah has led the way with detail attached to every photo, the book is a masterpiece in every way. If you don’t know about Brian Harris and you consider yourself a keen UK transport enthusiast, then this is a must read. If your not then read it anyway it will caption your inquisitive nature and you’ll fall for the warmth and camaraderie of BHT that the author seems to ooze from every page. When you finish you’ll feel like you’ve been sat in Brian’s office or that you have been to the Rugglestone Inn, the book is a true gem of a read. I guarantee on some level you will become a fan of the Harris family and the trucks that earned the name and respect of the whole UK haulage industry. This is a proper book written by a proper author about a proper British haulage company. Get it bought before it sells out!! Buy your copy now by clicking HERE – the best money you’ll spend on a transport book ever! 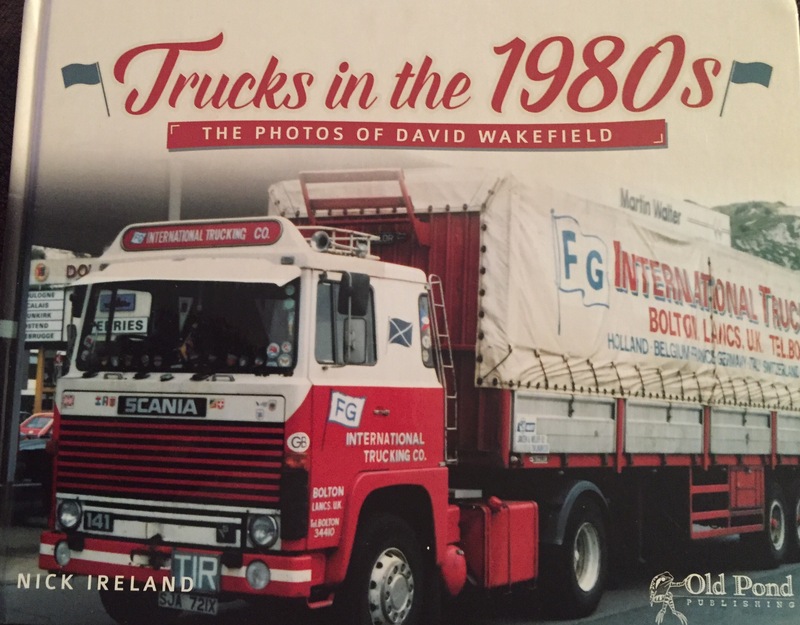 A photo book by Nick Ireland celebrating the amazing photo collection of truck spotter and Driver, David Wakefield. So many of these amazing photo collections that have captured the golden years of trucking must get chucked out in house clearances and big clear ups it doesn’t bear thinking about. If only I had had the time and patience to photograph everything I saw coming in and out of Braintree during the 1980’s I would have a fair photo collection myself! Thanks to Nick Ireland we can all enjoy some of the best photos taken by David Wakefield. Don’t just think it’s a pure photo album, it’s not. The author has done a lot of research into each of the photos included in the book. Researching the truck, the photo, the driver or what ever could still be found, it really is a little masterpiece of UK haulage companies as well as the comings and goings of Dover docks. It’s pretty difficult for me to write too much about this one or perhaps I mean show too many photos and images to tempt you as that would just take away the enjoyment of sitting down with a cuppa and thumbing through the book. 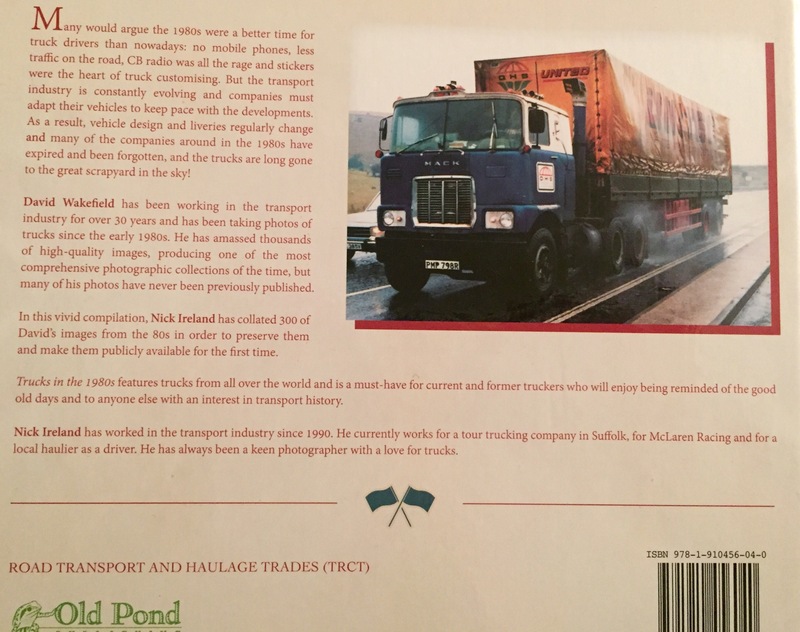 It’s so nice to see that finally there is a publisher in 5M Publishing the owners of Old Pond Publishing who have realised that there is a lot of interest and popularity in books about trucks and all of those who are and were involved in the industry that keeps everything moving. Congratulations to the publishers, Nick Ireland and David Wakefield for a thoroughly enjoyable book and hopefully what I’d like to the first in a couple of books perhaps. If you want to buy a copy of the book then please just click HERE. Alternatively go to the Old Pond website and have a look at everything by clicking HERE.